Regeneration is about new life. It's a second chance. The act of making again. 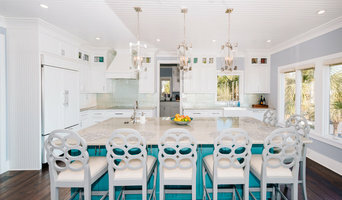 That's the inspiration behind Regeneration Interiors, a full-service interior design, home staging and redesign company owned and operated by Ginny Ezell. Her mission is simple: To help clients reinvent their home or office environments, and create a space that meets their lifestyle, functionality, and design needs. Revitalize... Refresh... Reclaim... Whether you're looking to revitalize your existing pieces, refresh your space with a completely new look, or reclaim as much value as possible from your house for sale using professionally staged design, Regeneration Interiors offers a wide array of services. 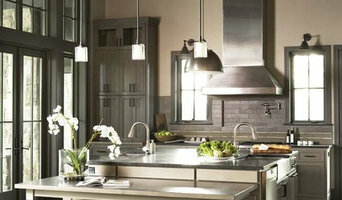 Fowler Interiors is a full service interior design firm located in Greenville, SC. We have 20 years experience and are blessed to have clients from California to the Carolinas. Michele Johnson, founder of Michele Johnson Design, has a passion for well-designed homes. She has a wealth of knowledge, with her 10 plus years of experience in the design field. Michele began her career in the retail furniture industry where she became familiar with all aspects of design.Timeless, classic, and fresh are just three words to describe Michele’s design style. While she loves both traditional and contemporary styles, she maintains a strong emphasis on creating current, collected and evolving spaces. Michele draws inspiration from the world around her. What are the benefits of working with custom furniture makers in Greenville, SC? Whether you’re looking for a custom couch or a new set of custom chairs, it can be difficult trying to find something that matches the rest of your decor and that fits into your space. But when you’re using the furniture in your home almost every day, it’s important that it works and brings you joy. Outfitting your home with custom made furniture ensures that your interior spaces work with your lifestyle and tastes. You’ll be able to specify just how big or small you want a piece to be so that it fits right into your home. You’ll also be able to match wood finishes to the rest of your furniture and pick out upholstery colors or patterns that reflect your style. While working with local Greenville, SC furniture makers might seem like a big project, you’re likely to end up with a high-quality piece perfectly suited to your lifestyle and meant to last for years to come. Even if you like the sound of having furniture made specifically for your home, you may be wondering how to even begin. First, you should take some measurements of your space and the other furniture you have. Consider the colors and style of the room and how a new piece might fit in. Many custom home furniture companies in Greenville, SC will be able to give you a choice of different configurations and designs that you can choose from. They may also have pieces that are already made, so you might take some inspiration from those designs. Whether you’re looking for custom wood furniture for your dining room or a custom sofa for the living room, Greenville, SC furniture makers near you will be able to take your ideas and make something lasting out of them.